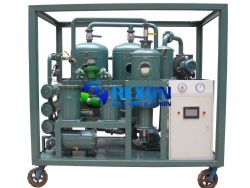 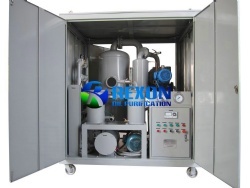 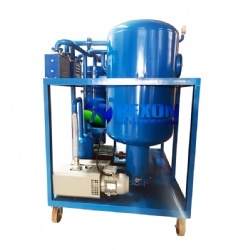 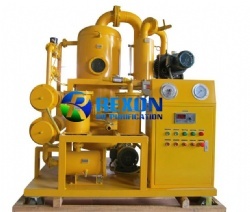 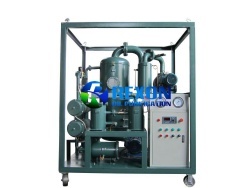 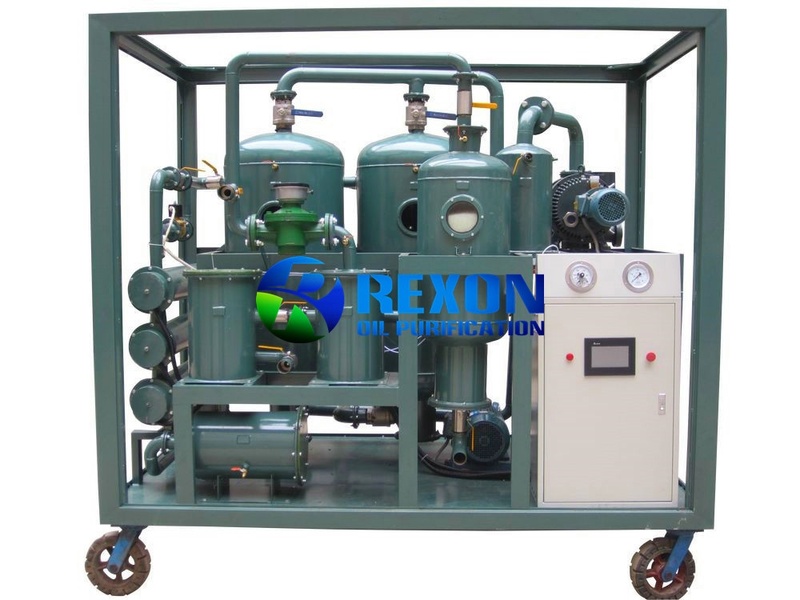 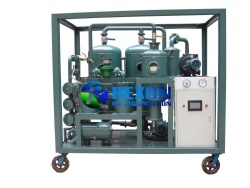 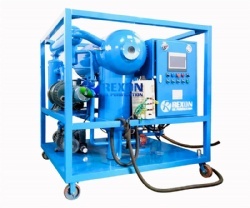 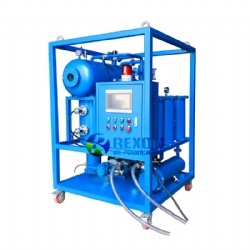 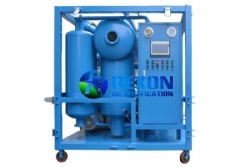 Rexon High Voltage Transformer Oil Purification System is mainly applied to purification for high voltage insulating oil of 110KV,220KV,500KV,750KV,1000KV from power transmission equipment. 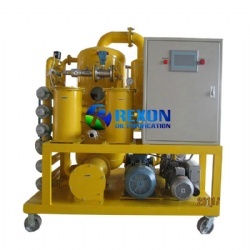 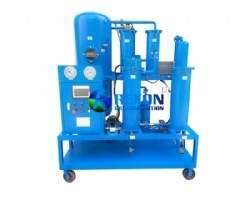 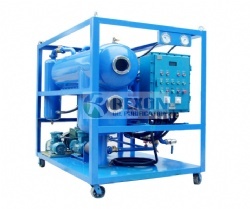 Rexon High Voltage Transformer Oil Purification System ZYD-H-150(9000LPH) is mainly applied to purification for high voltage insulating oil of 110KV,220KV,500KV,750KV,1000KV or higher voltage from power plant and transmission equipment. 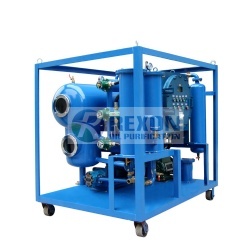 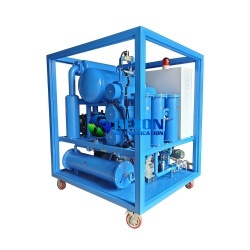 This high voltage transformer oil filtration unit is especially used for removing trace water, gas and impurities from high voltage insulating oil and transformer oil. 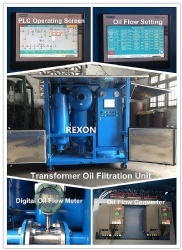 And improve the insulating oil performance index, recover oil's break down voltage value to be above 75~85KV. 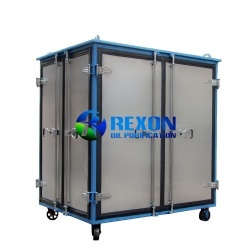 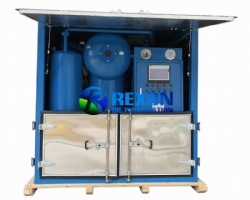 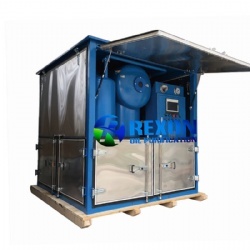 This oil purification plant is very suitable for the large electric&insulation equipment and oil maintenance. 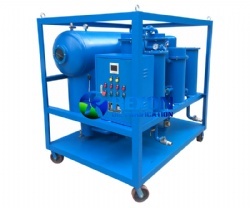 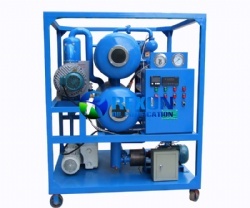 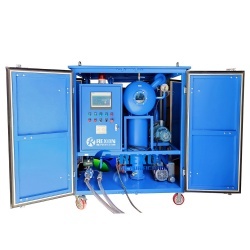 This High Voltage Transformer Oil Purifier Machine is particularly suitable for filtering high-grade transformer oil, super-voltage transformer oil and new transformer oil. 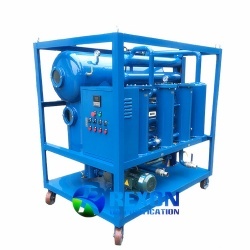 It can be used for on-site oil filtration work of more than 110KV to more than 1000KV substation live line. 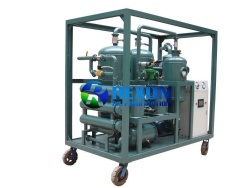 It can high efficient purifying and filtering oil and keep oil always in standard and cleaning status, keep transformers and power equipment working well too, and prolong their service life largely.It also can be an independent vacuum power supply, which can vacuum evacuating and oil injecting for transformers.